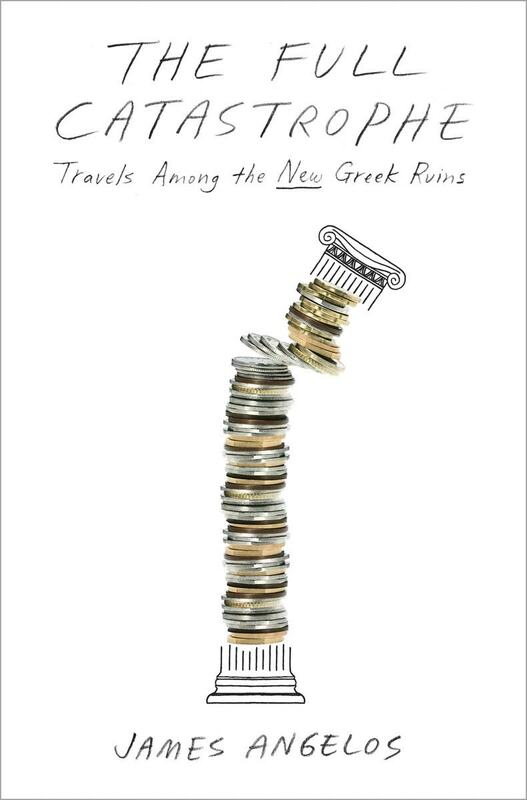 James Angelos talks about his illuminating look at the Greek crisis, The Full Catastrophe. Also, political analyst Peter Mathews discusses the state of democracy in the US. His book is Dollar Democracy. By the time you listen to this episode of Writer’s Voice, the outcome of the Greek euro crisis may be much clearer than it is as this post goes live. As of now, Greece is effectively in default, the Greek people are getting set to vote on whether to accept the draconian terms of a bailout by the so-called European Troika and no compromise is in sight. How did Greece get to this desperate pass in the first place? Journalist James Angelos explores that question in his eye-opening new book, The Full Catastrophe: Travels Among The New Greek Ruins. He shows that pointing fingers at one party, whether that be Greece or the European Community, is a mistake — there’s plenty of blame to share. European banks and German industrialists made fat profits lending and selling to Greece during the good years. Corruption fattened the wallets of Greeks from high government ministers to lowly pensioners. And centuries of occupation by foreign powers engrained a deep reluctance in the Greek psyche to pay taxes to a central state authority. Then the whole house of cards came crashing down with the global financial crisis of 2008. But the Greek people have disproportionately paid the price, while the EC has ridden its high horse roughshod over the ruins of the Greek economy. If knowing the causes provides the path to solutions, then James Angelos’ fascinating book illuminates the way. Angelos is a freelance journalist and former correspondent for the Wall Street Journal. Prior to reporting from Europe, he wrote for the New York Times city section. He lives in Berlin. Ever since the 2010 Supreme Court ruling in Citizens United, the influence of corporate money in politics has ballooned to gargantuan proportions. But as political analyst and former candidate Peter Mathews experienced first-hand, such influence long pre-dates that historic ruling. He ran for Congress in 1998, going up against a opponent who was well-funded by corporate interests. Matthews ran a surprisingly close race, but his shoestring operation fell short of victory, hampered by his refusal to take money from corporate-funded PACs. He went on to become a political analyst and teach political science at the college level. 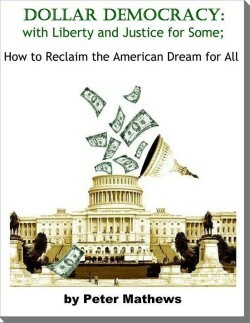 Mathews’ book Dollar Democracy: with Liberty and Justice for Some, clearly lays out the case for separating the powers of Politics and the Purse — and how we might begin to reclaim our American democracy. WV spoke with him the very day Bernie Sanders declared his candidacy for president of the United States — a candidacy Mathews supports. Peter Mathews teaches Political Science at Cypress College and is currently a Political Analyst on the “Head-On” Radio Show in Los Angeles. He was the Democratic Party Nominee for the U.S. Congress in 1998 in the Long Beach, California district.